As a test prep coach and nationally sought after ACT expert, I am often asked why students of various score ranges should keep testing. In my 22 years as a high school English teacher and 8 years helping students with ACT test prep, I have seen a lot of incredible things happen with ACT scores. My advice about testing is always “Test early and test often.” Why should students take the ACT or SAT tests multiple times? There are a few simple reasons. There are a few reasons for students to retest, but the biggest motivation is money. Students can earn merit scholarships for schools, which are automatic scholarships that students receive if they meet test score and GPA criteria. An increase of as little as one ACT point can mean tens of thousands of dollars in reduced tuition rates. One of my recent students took the June ACT (after he had graduated from high school!) and earned an additional $15,000 (per year) in merit money to Baylor University, for example. Higher ACT test scores might also make a student’s stand out against applicants for local or regional scholarships as well. A second reason is that a student might have had an off day while testing. Like a bad hair day, a bad test day is out of our control. The bad thing about ACT/SAT testing is that it all hinges on one day of a student’s life. It’s really only one small, four hour window. If a student’s scores seem off, then have them retest. Contrary to popular belief, schools do not frown upon trying the ACT and SAT multiple times. 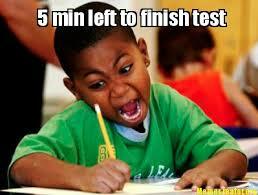 Lastly, sometimes scores will rise just with the experience of sitting through a test. I use the analogy of a student taking the driver’s license test. As parents, we work with our children for months to prepare for that test. We get out the cones and work on parallel parking. We quiz them time and again over the materials in the handbook and street signs we pass as we drive. In contrast, we send our students into the ACT or SAT blindly. Nothing can imitate the long ACT or SAT tests like taking the actual test. Sometimes that next time they test produces a slightly higher score due to experience. My advice is to test early and test often. You just might surprise yourself with your results! If you have other questions about the ACT/SAT tests or ACT/SAT test preparations, please feel free to reach out to me via my website: www.jenhensonactprep.com. For a free high school checklist of tasks to do at each grade level to prepare for college, contact me at jenniferchenson@msn.com. Jen Henson ( a.k.a “The GOAL DIGGER”) is a nationally sought after test prep expert specializing in the ACT test. Jen, who was Winton Woods City School’s (OH) Teacher of the Year in 2014, holds a Master of Education degree with a Bachelor’s in English from Xavier University—where she was a walk-on tennis player. She’s taught 21 years and coached ACT prep for over 7 years– and has an army of teachers trained to assist her requests for tutorials. Her former ACT students now attend notable higher learning institutions, including Notre Dame, The Ohio State University, Texas A&M, The Naval Academy, and the University of Kentucky—among others. Jen has assisted students from California to Connecticut—and states in between—to reach their personal ACT goals. No score is too low or too high, as she has doubled the scores of students starting at the low end, in addition to helping initially higher scoring students achieve the coveted 36 on every section of the test. Two young men playing D1 football had a composite score of a 9 originally, and scored 18 and 20 (respectively) after working with her. Two of her former clients now have NFL experience, two play MLB and one is in the WNBA.